HU's Department of Nursing is second to none. 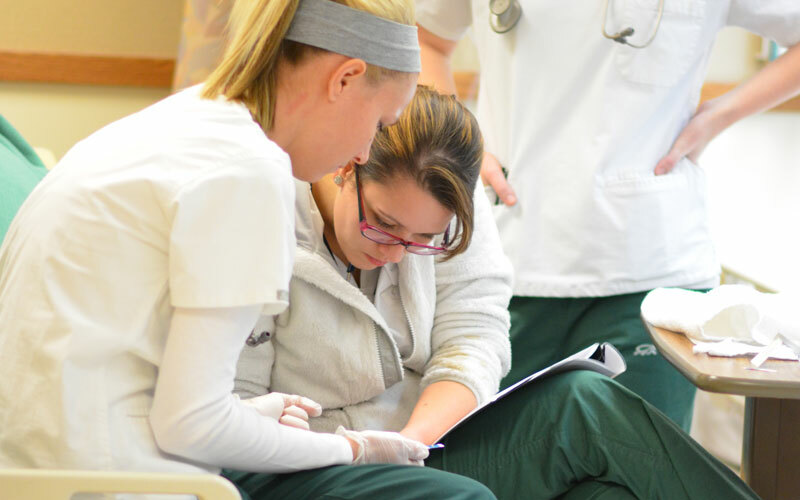 HU's nursing program provides students with a host of learning opportunities. From state-of-the-art equipment to internships and job shadowing experiences to the Nursing Student Counsel and the NCLEX Review Class, our nursing faculty is dedicated to ensuring that all nursing students have the opportunity to excel! Huntington University’s nursing department is housed in Dowden Science Hall, a state-of-the-art, 93,000-square-foot building. The department itself (which encompasses an entire floor of the building) features specialized classrooms, a nursing-specific computer lab, resource supply rooms, reception and work area, and conference room. The main nursing lab features eight bed bays with headwall components. eleven simulated mannequins including SimMan, an advanced patient simulator for use in realistic patient care scenarios, and simulation control room. The smaller nursing lab features four bed bay and simulated bathroom. If the nursing faculty are the heartbeat of the nursing program, the Nursing Student Council is its lifeblood. Being part of Nursing Student Council is an honor and a privilege. This group of individuals sets the tone for the department and exists to facilitate communication among students, faculty, and the administration. This peer-elected group is responsible for event planning, such as fundraisers and food drives, and its members become mentors to underclassmen interested in the nursing program. Let's clear up the first question right off the bat: What is the NCLEX? The NCLEX exam is the National Council Licensure Examination. 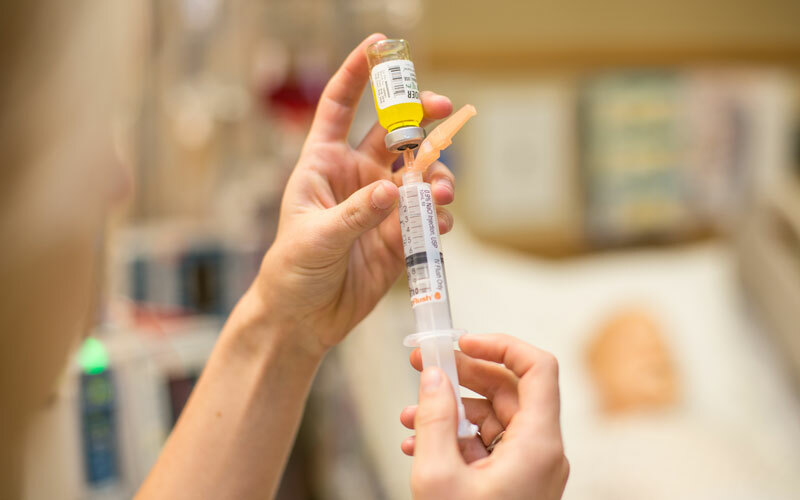 Put simple, it's a standardized exam that each state board of nursing uses to determine whether a candidate is prepared for entry-level nursing practice. It's a hard test, but after completing a Bachelor of Science in nursing, it's a required stepping stone to becoming a nurse. 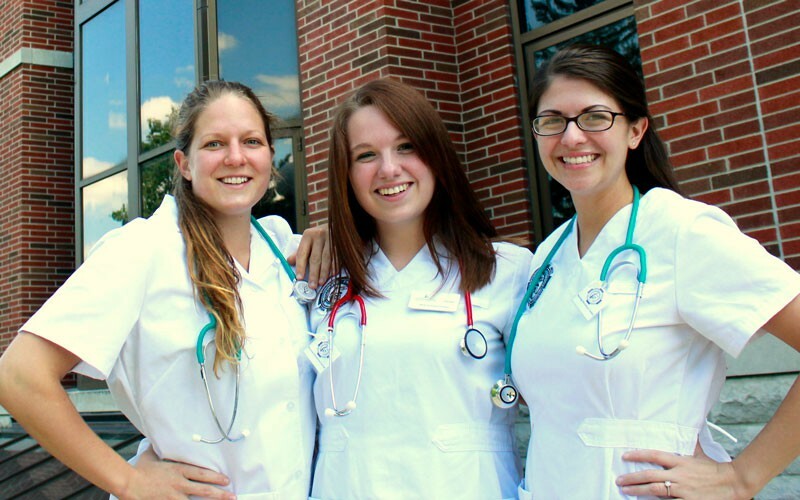 HU's nursing program has a higher than average pass rate for the NCLEX. This can be at least partially attributed to HU's required NCLEX Review Class. As a senior-level course, this class is set up to be a review of the last four years of education. Classmates and professors work together to review everything that students have learned and to make sure that each student feels prepared and ready to take the NCLEX after graduation. HU's Department of Nursing is a rigorous program that requires interested students meet certain requirements. Your dream of becoming a nurse starts right here! Stay tuned to what's happening in HU's Nursing Department!